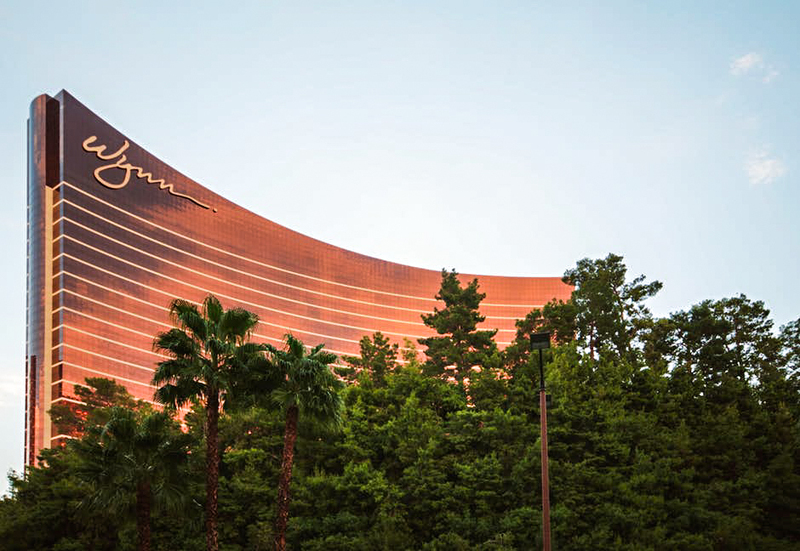 When you think of a luxury experience in Las Vegas what should always come to mind is the Wynn and Encore. From the moment you approach the porte cochère in the suite side of the hotel you are greeted by gentlemen dressed to the nine eager to aid you with any luggage or assistance you may need. Once approaching the entrance you are engulfed in a serene ambience where sophistication and indulgence meet. We recommend this hotel for high rollers, guests want a luxury experience, and guests wanting a secluded environment. This hotel is perfect for those that are looking to be pampered and seek relaxation in sin city. The Wynn resorts do a great job at making sure the cleanliness is always consistent with the Forbes 5-star standards. Cleanliness and maintenance is very important to this hotel company and they engrave it in their culture and in everyone’s job responsibilities. If an employee sees something that needs repair or is dirty they are expecting to say something right away to the correct department. The responsibility lies on everyone and they are then able to have one of the cleanest and best maintained properties on the strip. This hotel is more like a museum or a work of art. These resorts are some of the brightest properties on the strip. They encourage natural light to flow through the giant windows. Most other properties have their casino floors with no lights and strive for a darker environment, but the Wynn has done the complete opposite. The details of every inch of the property are carefully thought out and executed. There are always works of famous art on display around the property, which add to the elegance and extravagance of these hotels. If you’re seeking some of the finest guest service Las Vegas has to offer then look no further. The staff at these resort properties are not simply fulfilling their specific job responsibilities they are trying to ensure that you never leave AND that the next time you come to Las Vegas you don’t even think about staying anywhere else. They are trained to fulfill all your express and unexpressed wishes. What does that mean? Let’s say a business traveler is rushing to their room to get on a conference call. Upon arriving to their room something things they may not notice have already been done for them to make their stay easier and more flawless. The chair has already been pulled out to a certain degree to make sitting easier; the pen on the table is already open and ready to write upon picking up. These are the kinds of things you can expect at the Wynn and Encore - service that is unmatched and some of the best in Las Vegas. You want to see dancing water? Walk over to the Lake of Dreams where you get a more intimate water show than you would at the Bellagio fountains (even though Mr. Wynn created those as well.) Ask an employee for the best times to view the water show but every night you will have an opportunity to see magic come alive. To enhance your experience we recommend dining at the SW Steakhouse where you will have a view of the water show throughout your meal. Jose and I went to Sinatra for his birthday one year. We were overwhelmed with the elegance of the restaurant. It’s named after the great Frank Sinatra himself, who was a personal friend of Mr. Wynn. You are greeted by Mr. Sinatra’s Grammy outside of the restaurant and met by countless original photos along the wall when entering. It is fine dining Italian food with unparalleled service. The experience will transport you back to the 1950’s. Shopping is a must-do at the resorts. From Givenchy, Prada, Chanel, Louis Vuitton, Cartier, Hermes, the Home Store (where you can buy a Wynn bed) and Rolex there are options for every occasion. But our favorite is at the Rolex store where you can ask to go on the Rolex experience. A special attraction they have where you can see the evolution of Rolex watches throughout the years. They have watches from different time periods and some of the finest Rolex watches you’ll find in the world. A must see for any watch lover. Jose and I have spent a lot of time in these hotels. We know the Wynn and the Encore probably more than any other hotel on the strip. We love these resorts and we encourage everyone to at least walk through the property, dine for a meal, and take in the atmosphere. It’s a luxury experience you can’t find anywhere else. Like this post? Pin this post! Viva Las Vegas! No, you don't have to drink or gamble when you visit Las Vegas. But if you don't did you even really visit!? Just kidding... kind of. We did our fair share of drinking in Las Vegas, mostly off of the Strip (because broke college kids can't afford the Strip). Between going to college there and being in the hospitality industry so we like to think we're expert drinkers. (Just kidding mom!) These are our 5 Favorite Bars in Las Vegas! We used to live in Las Vegas. We used to work in Las Vegas. We went to one of the best Hospitality schools in the world in Las Vegas. These are our 50 THINGS TO DO in Las Vegas straight from the ones who this city the best! Las Vegas, the city of lights! Las Vegas, Sin City! Las Vegas, our old home! We love Las Vegas! And we love talking about Las Vegas even more. Whenever anyone tells us they’re going to Las Vegas they always ask the best things to do, see, eat, and drink. So we had to make our idea of the PERFECT 2-3 days in Las Vegas. My favorite thing to do in life is to eat. I do not eat to live. I live to eat! These are my TOP 5 Las Vegas buffets! We out here! From the moment you approach the porte cochère in the suite side of the hotel you are greeted by gentlemen dressed to the nine eager to aid you with any luggage or assistance you may need. Once approaching the entrance you are engulfed in a serene ambience where sophistication and indulgence meet. If you're going to Las Vegas it's not only about gambling and drinking. I know many people who come to Las Vegas and never take one sip of alcohol or spend one cent on the casino floor. Here's our TOP 5 MUST DO!